Combine the extra virgin coconut oil, lime juice and dijon mustard in a small mixing bowl. Add fish cubes to the marinade, cover and place in refrigerator; marinate for 15 minutes turning once to coat. Meanwhile clean, core and cut your veggies. 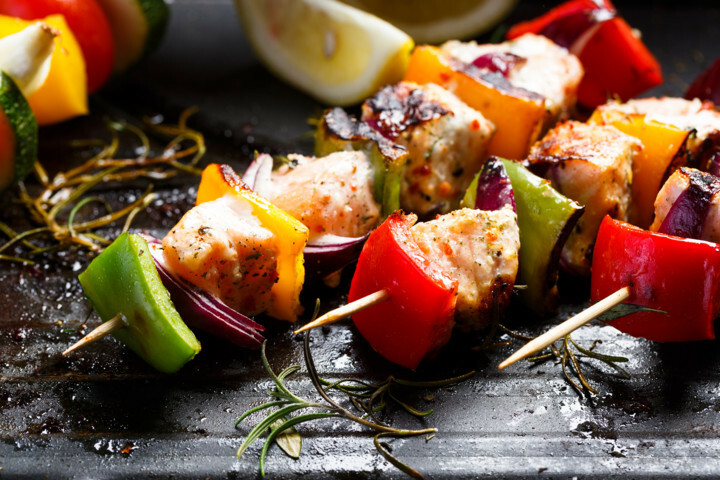 Thread skewers with veggies and fish, 4 pieces of fish per skewer, and brush kabobs with leftover marinade. Preheat broiler and place the kabobs on a broiler pan. Broil about 4 inches from heat for about 6-8 minutes turning once and brush on more marinade when turning. Feel free to grill them also.